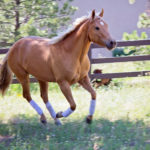 What are you and your horse going to do during our amazing Colorado summers? Have a horse-crazy kid? This is the time of year to start making your plans! Here is a list of horse related activities for our area. More detailed information can be found under the Event tab or at the website specified. Also under Event tab – find, add or even sync to your own calendar. Learn something or go somewhere new! COLORADO HORSECARE FOODBANK, horsefoodbank.org, 303-670-1474. Flowers for Food! Going on now! Get exceptionally gorgeous flowers, raised in the mountains at competitive prices. Your pots or ours. Cattle Drive & Trail Ride – May 16-18, Friday – Sunday at Colorado Cattle Company’s 10,000 acre ranch. Registration ending soon! Hay Bales & Horse Tails – October 3. Incredible annual fundraiser, Jeffco Fairgrounds. Anchorage Farm, Pine, centaurrising.org, 303-838-5086. Family & Kids Horsemanship Camps, Llaves, New Mexico, jubileehorse.com. 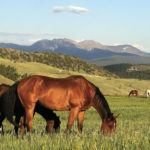 Amazing opportunity to enjoy your horses or theirs, thousands of acres of National Forest and learn something while you are at it with local trainer, Julie Phillips. COLORADO CORRAL RANCH RACE /WESTERN DRESSAGE CLINIC & COMPETITION – Evergreen Rodeo Grounds. See Shows for September 14th. MtnHomes4Horses.com, 303-638-0994. COLORADO CORRAL RANCH RACE CLINIC – with Tucker Black. WESTERN DRESSAGE CLINIC – With Train The Trainers TM Instructor, Kelly Hendricks. ESCT or PEAT Clinics and Beginner lessons – Heal the spooky horse and fearful rider. Flexible schedule. Tucker Black Clinics, Red Hawk Ranch, Conifer, tuckerblackhorsemanship.com. 303-870-8389. April 26 Horsemanship 1 and Trail Course. One or both. May 10 Horsemanship 2 and Trail Course. One or both. May 11 – Harry Horse Show, Westernaire Arena, Jeffco Fairgrounds. May 18 – Arvada Hoofprints, Westernaire Arena, Jeffco Fairgrounds. June 22 – Horse Feathers, Evergreen Rodeo Arena. July 12 & 13 – Pleasant Park Clinic & Show, Mckeever Arena, Conifer. July 20 – Jeffco Rangers/Wranglers, Rodeo Arena, Jeffco Fairgrounds. July 27 – Ranch Race 4-H Clinic 8-10am, 10am-12pm & Open Competition. 1230pm – ~530pm. August 7 – Jeffco County Fair – English/Western/Trail, Rodeo Arena. August 8 – Jeffco County Fair – Gymkhana, Rodeo Arena. September 28 – 4-H Fun Show, Table View Arena, Jeffco Fairgrounds. COLORADO CORRAL RANCH RACE/WESTERN DRESSAGE COMPETITION – Evergreen Rodeo Grounds. (past Ranch Race Slide Shows at YouTube channel, MtnHomes4Horses). See Clinics for September 13th. MtnHomes4Horses.com, 303-638-0994. DRESSAGE Schooling Show – Ride-a-Test Format, USDF Judge. Open to Ride English, Western or Gaited. RANCH RACE COMPETITION – All ages & levels. 2nd Wednesday’s 7-930pm at Jeffco Fairgrounds. Intermountain Horse Association, Beau Jos Meeting Room 630-8pm, Evergreen. Intermountainhorse.org. 3rd Tuesdays – April 15, May 20, Summer off, September 16, etc. Buffalo Bill Saddle Club – see ride & camping schedule online at bbscgolden.org. Too many to list! 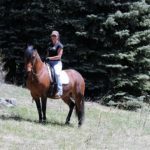 Colorado Corral Trail Rides – email [email protected] to get on the trail ride email list. Casual riding with friends at local parks every couple of weeks. Intermountain Horse Association Poker Ride, intermountainhorse.com. September 6 – Details TBD. North American Trail Ride Conference, NATRC.org, volunteers and new riders welcome! May 3-4, 17 – Clinics – Eckert & Larkspur. May 24 & 25 – Air Force Academy, Colorado Springs. June 7 & 8 – Colorado Trail, Buffalo Creek. July 19-20 – Willow Springs, Jefferson. Evergreen Ranch Sorters: Saturdays 10am-12pm, June – Late Fall: Reffel’s Arena, Pine, details at evergreenranchsorters.com. Non-members welcome! Evergreen Parade & Rodeo Weekend, Evergreen Rodeo Grounds, evergreenrodeo.com. Volunteers Needed for Parade and Rodeo! Go to Volunteer tab on website.